Our company was founded in November 2000 as a limited partnership, later its venture form was changed to limited liability company. Our main activity is road shipping and we are especially prepared in organizing export-import transportation regarding Poland and other European countries, in addition we are very well up in transportation regarding countries of the Far East as well. Besides organizing transportation using sheeted trucks with 24-ton weight-bearing capacity we are also engaged in transportation with refrigerator vans and containers as well as in transporting hazardous materials and partial loads. 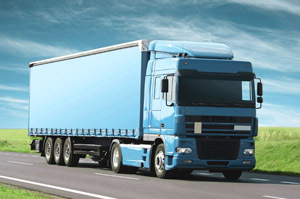 Merionsped Ltd. possesses a Third Party Transportation Insurance and all of our subcontractors possess CMR insurance. From the beginning we consider reliability and security in our work as the most important consideration therefore we do our best to maintain a continuous and correct relationship with our partners and subcontractors. We have a widespread business relation system and we mostly work with permanent partners therefore we are able to meet the requirements of the market but we provide excellent service in case of occasional orders as well. Our exceptional relationship with the smaller and bigger transportation companies guarantees that we can provide our clients with the best possible solution in all circumstances. Our widespread clientele allows us to provide our subcontractors with stable and predictable transportation assignments. Thanks to our continuously expanding partner system our company can maintain a stable and dependable work course. Should you like to contact us please find our contact information under the Contact menu.